Tatiana Maslany, one of the stars of Two Lovers and a Bear, says her time shooting in Nunavut was an eye-opening experience, and she wants more Canadian filmmakers to work in the North and more Inuit to tell their stories. The film, directed by Kim Nguyen, is an offbeat romance about two lovers who find refuge in the Arctic from their pasts. Two Lovers and a Bear had its first Nunavut screening on Saturday at Iqaluit's Astro theatre. 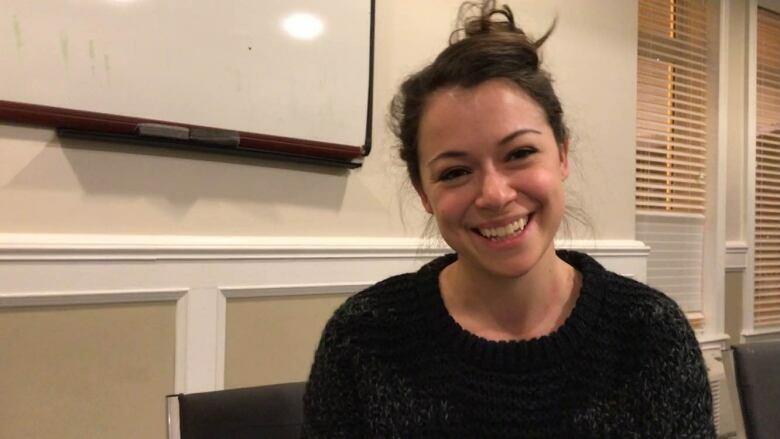 Maslany, a Regina-born actor who recently won an Emmy for her work on the TV series Orphan Black, spent six weeks in Iqaluit last spring during filming. Part of the movie was also shot in Timmins, Ont. 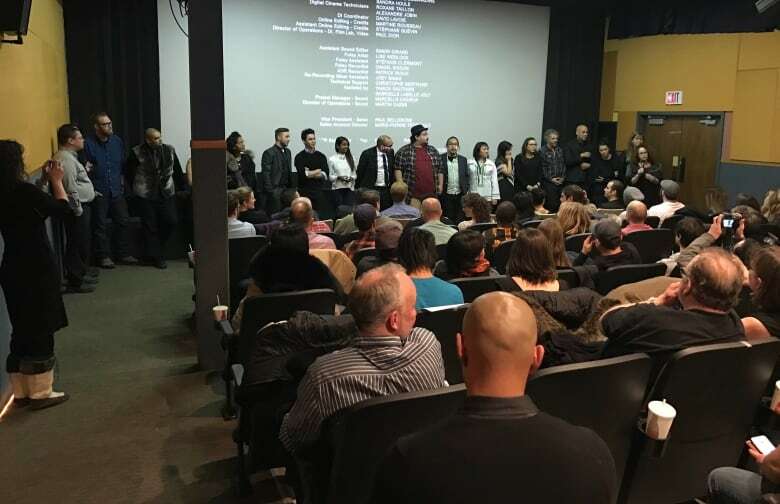 Standing before a theatre full of the film's Iqaluit cast and crew, Maslany got choked up. She said the connections she made with the people and the Arctic landscape have had a lasting effect on her. "I think Nunavut is incredible," said Maslany. "It's so varied from what it is day to day. It's magical. It's another world entirely, the way the snow looks, the sky, the ocean — everything." Maslany said it was a luxury to be able to work against the landscape in which the story is set. "You can kind of let the environment be a scene partner," she said. Despite the cold, and grappling with equipment mishaps and breakdowns, Maslany said she had a lot of fun in the North. "I felt there were less challenges for me than joys," she said. 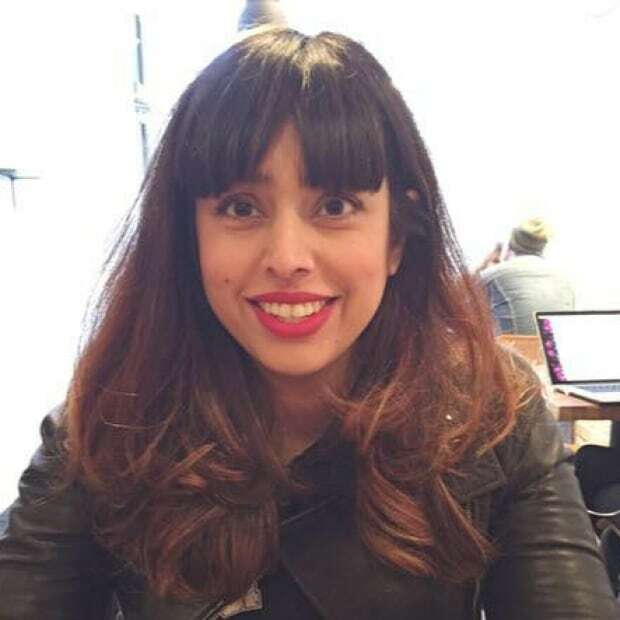 She said she had a near disaster on a Ski-Doo when she forgot about the camera rig attached to her machine and ricocheted off the side of a snow drift, causing her co-star Dane DeHaan to get knocked off his Ski-Doo. In the end everyone got out unscathed and the crew gathered blooper reel gold. Her time in Iqaluit filming Two Lovers and a Bear was Maslany's first trip to Canada's Arctic. She said before coming North she knew very little about this part of Canada. "I was ashamed of how little I knew, how little I've been told and how little I investigated," said Maslany. "It ended up being one of my favourite places on the planet and I've travelled a lot." Now the actress wants to encourage other filmmakers to work in in the North. "It's important for film crews to come up here and work up here and tell these stories because it's who we are," she said. She said telling stories set in the North is essential to embracing Canada's true identity. "We've created an identity for Canada that has nothing to do with the roots of Canada and our Indigenous people," she said. "I think that's a big mistake. We're putting out some other identity which isn't who we are." Her advice to Nunavut filmmakers is: "just tell your story." "Embrace everything you know about where you grew up and the stories that you've been told and defend those. Because we really need voices from up here to reach out. We need to hear these stories."